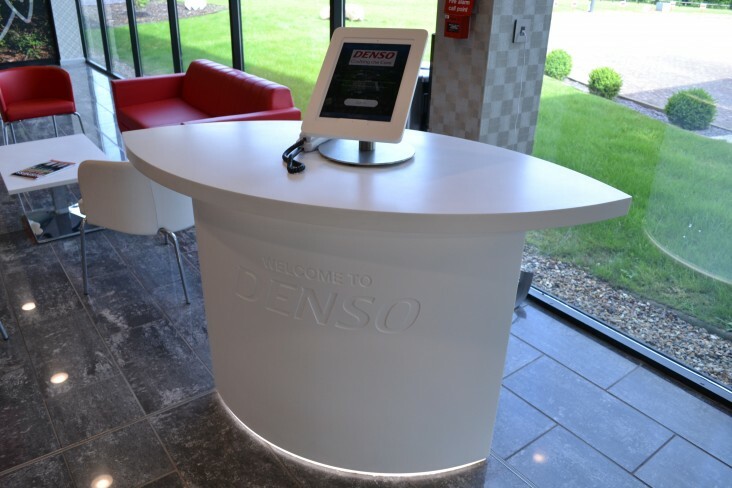 Denso manufacturing UK are a company based in Telford England. 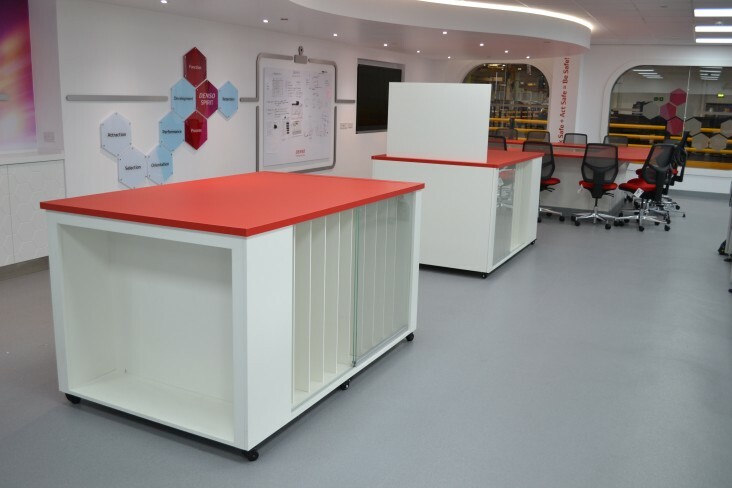 Nicholas Alexander was invited to build a range of furniture for their learning centre and foyer area. 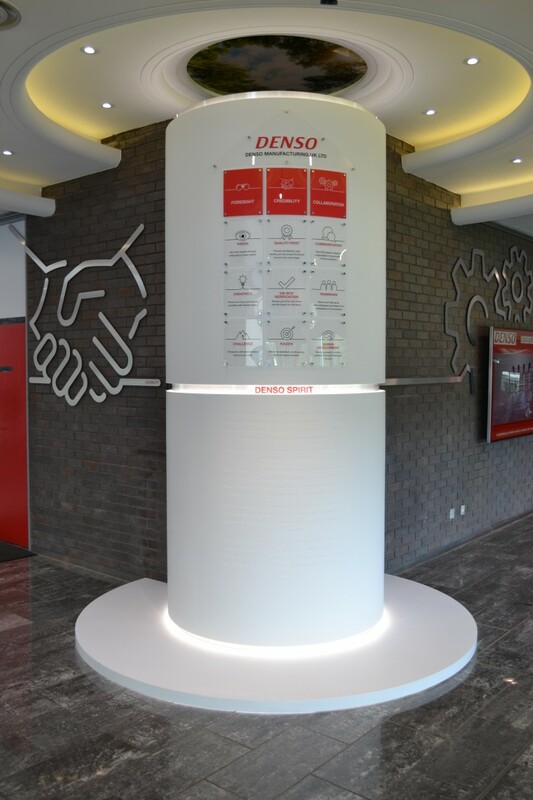 A large 3M Corian plinth with etched text, an LED detail, and a number of acrylic graphics. 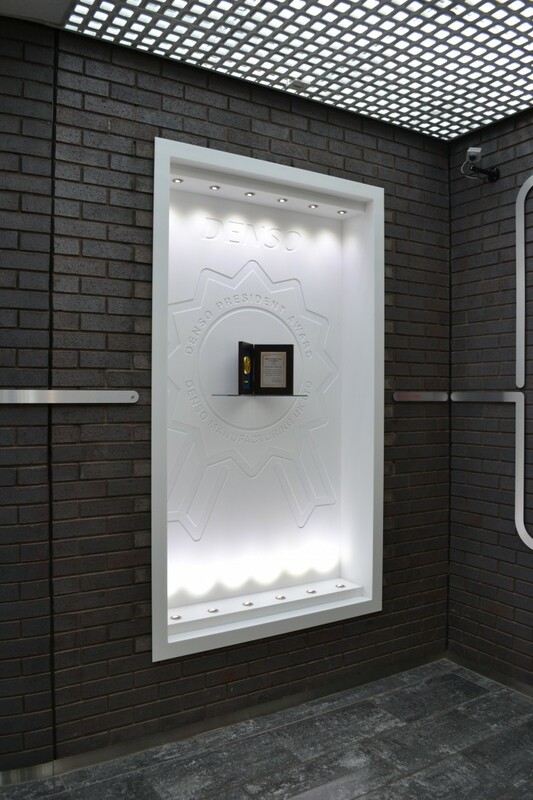 A white Corian trophy cabinet to house there president manufacturing award. 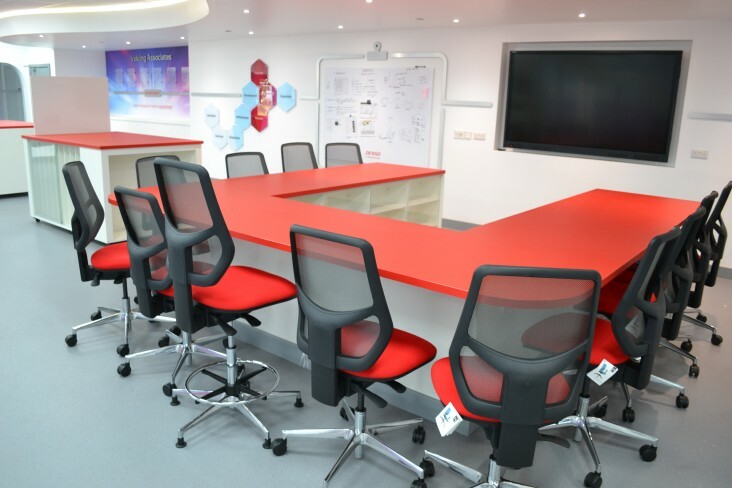 An oval reception plith and a range of laminated desks for their learning centre. 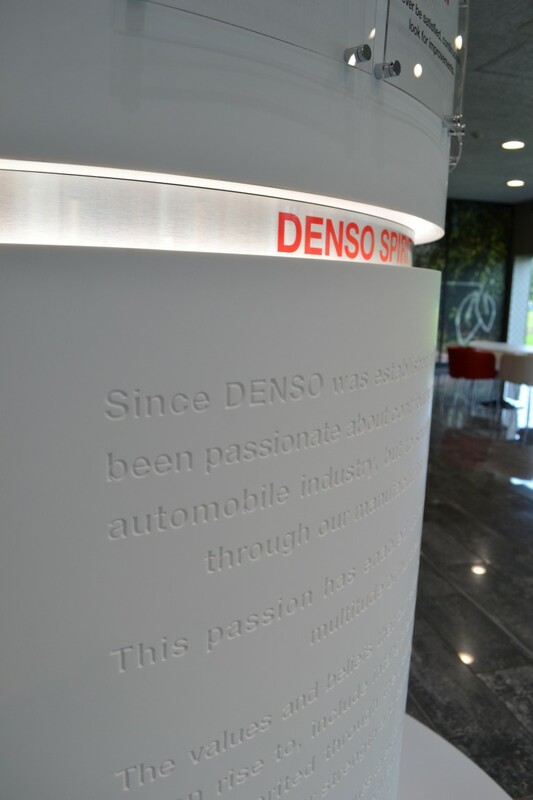 The Corian sheets were etched on our in house CNC and then formed over a mould in sections which would later be joined to created a seamless finish.